Generally speaking, a healthy smile can lead to better employment opportunities. While this may seem like a stretch, imagine the importance of first impressions at an interview. As superficial as it sounds, a healthier smile will take you far in the world. Here at Silver Leaf Dental, we improve your smile with crowns, veneers, white fillings, and whitening services. Now you can flash your pearly whites all over the Western Slope! Call our office today for your consultation involving these procedures and how they may be helpful for you. Let us help you achieve the smile you deserve. Silver Leaf Dental is a family-owned dental office in Montrose, CO. Our office offers an extensive range of services and places your comfort as a priority. We try to accommodate same-day appointments, and we’re always taking new patients. Silver Leaf Dental is a preferred provider for most insurers, and we accept Medicaid. Silver Leaf Dental is a Montrose, CO dental office that is dedicated to making sure your family has the best experience possible. 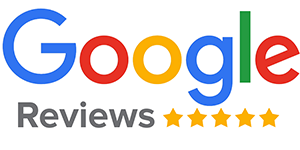 Please leave us a Google Review.